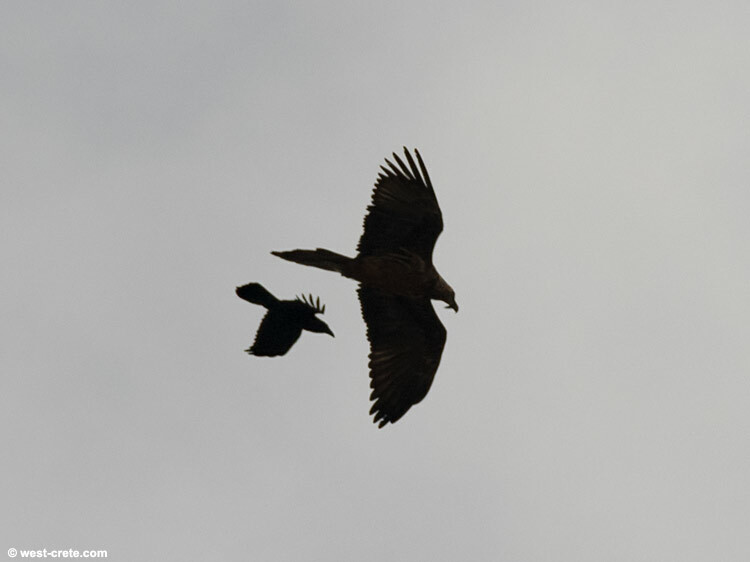 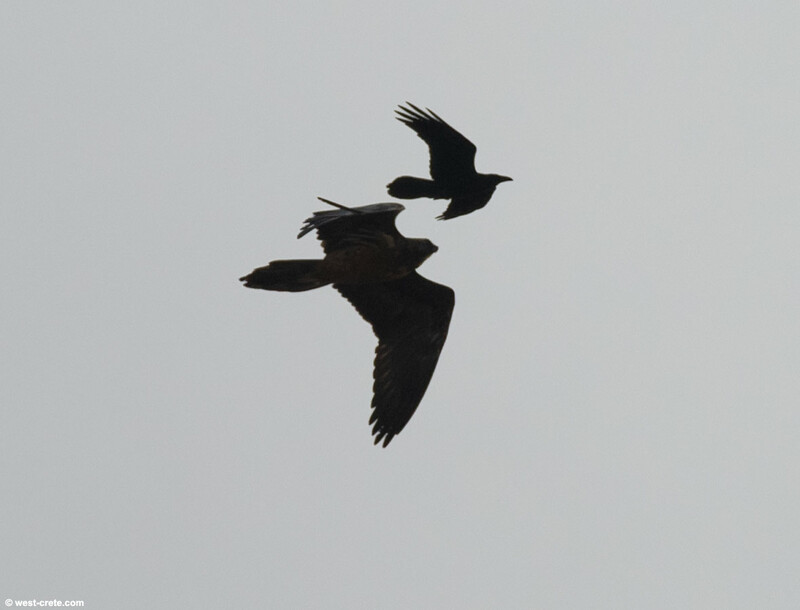 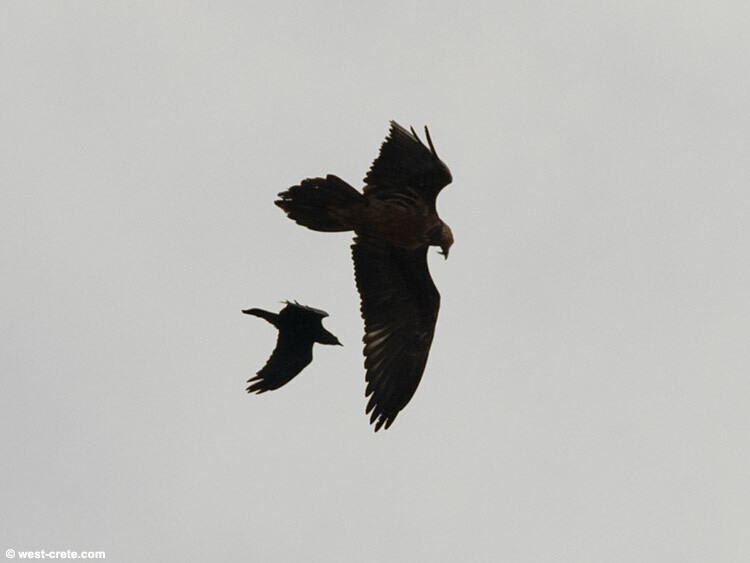 A raven harassing a bearded vulture (Gypaetus barbatus). 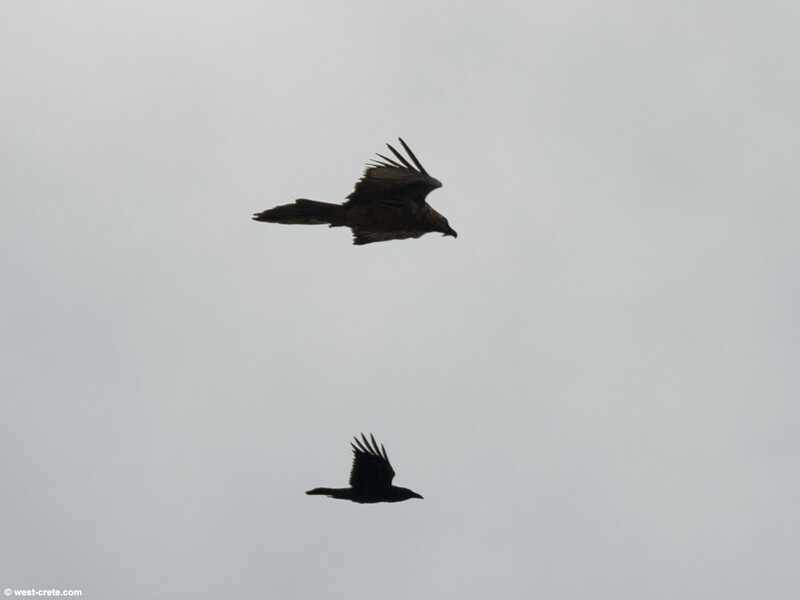 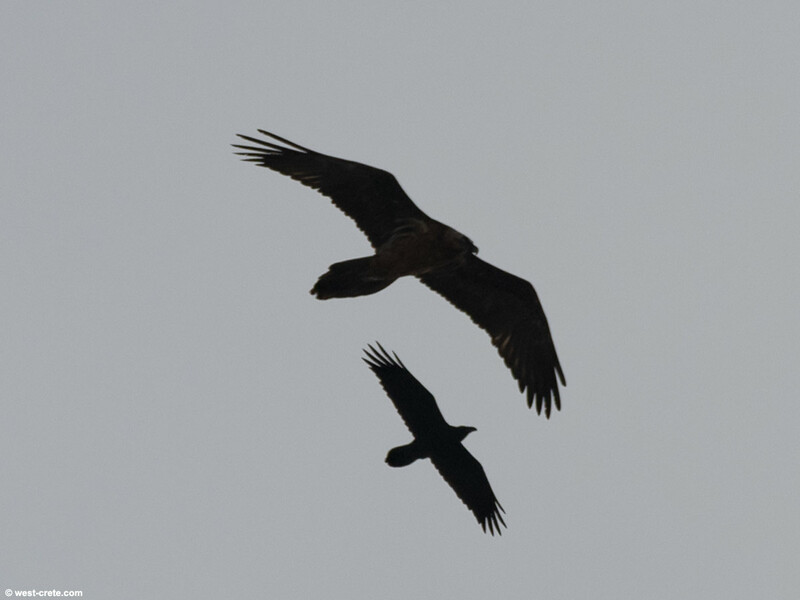 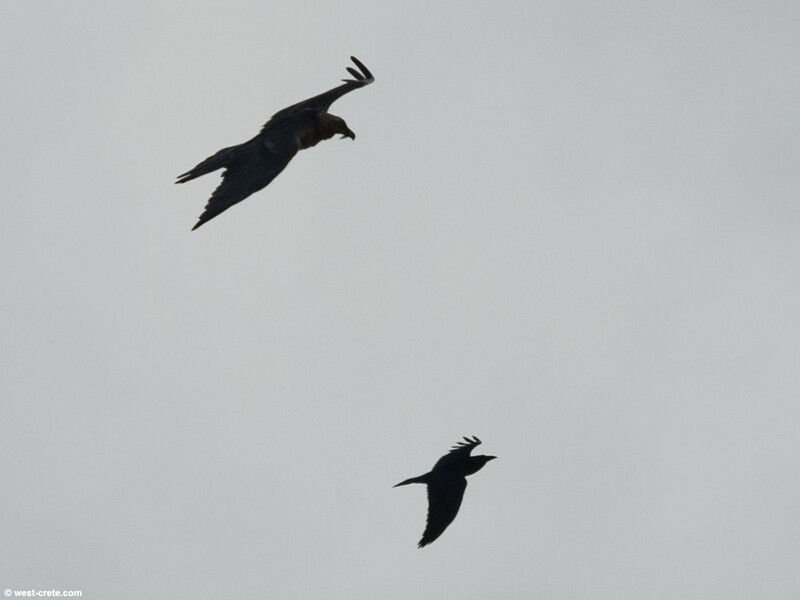 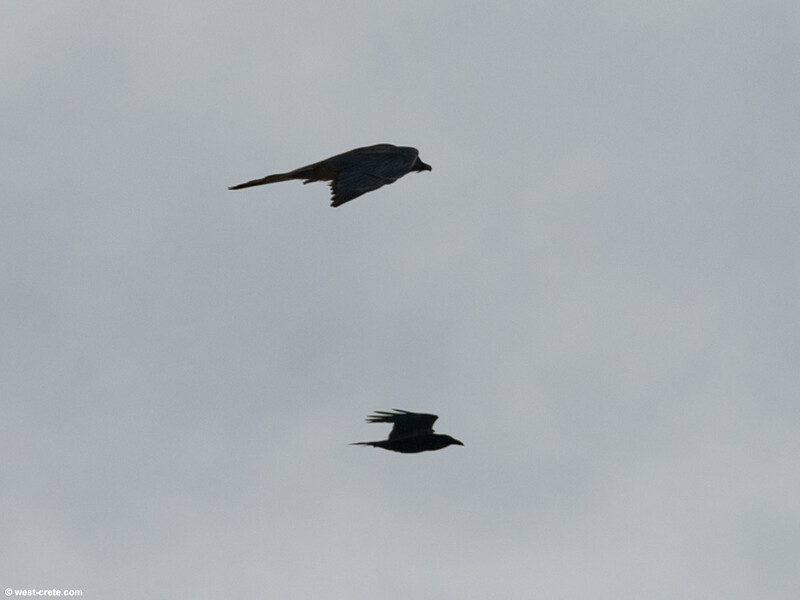 It's pretty common to see ravens chasing away griffon vultures but I had never seen this happen with a bearded vulture, probably because I don't get to see one very often. 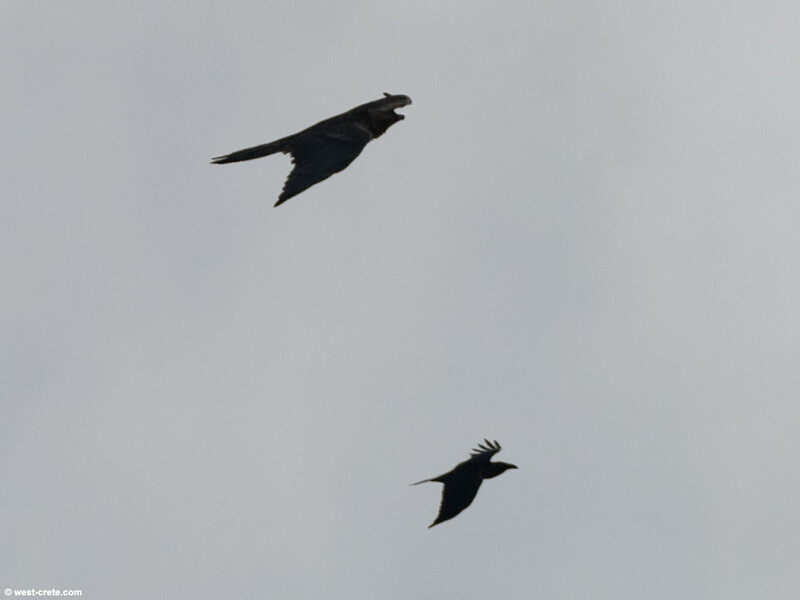 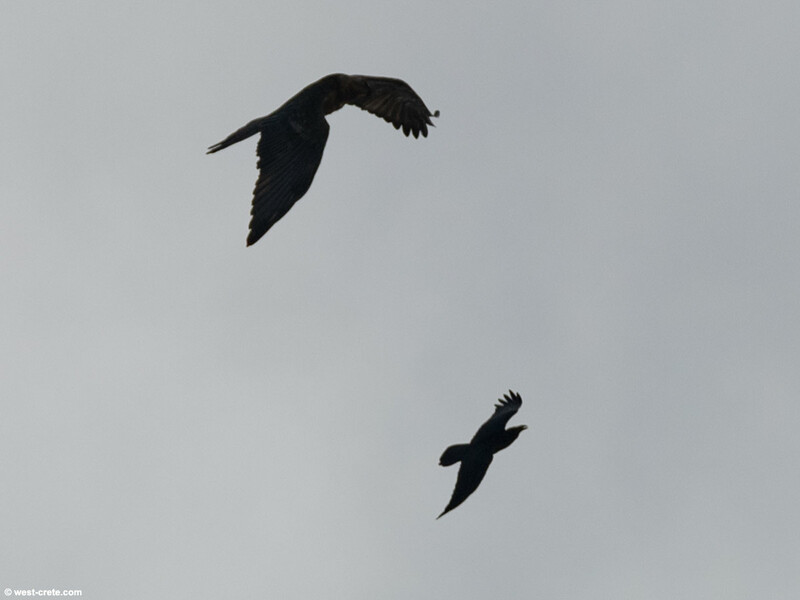 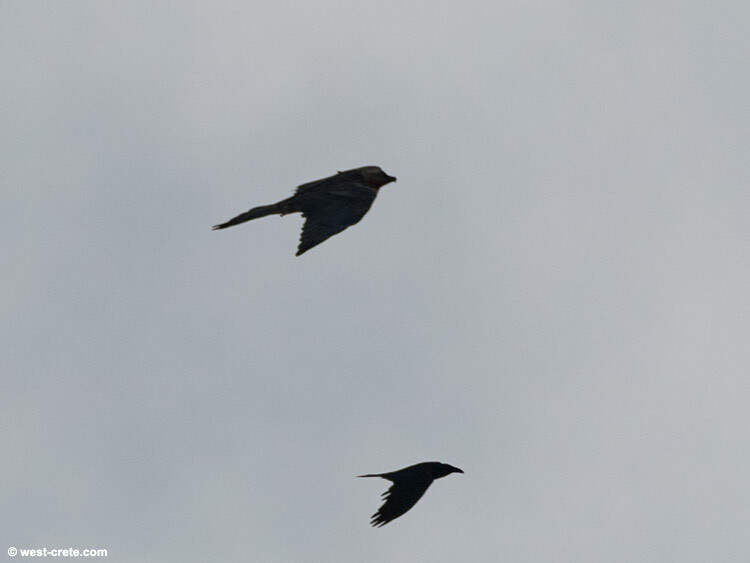 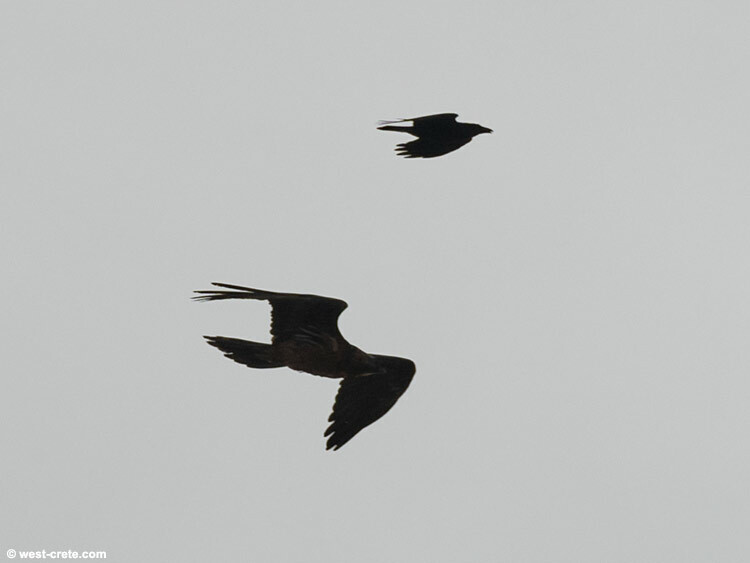 I took a whole bunch of photos (far more than what's shown above) and it was interesting to see that the raven was often flying in exactly the same way as the laemmergeier at most times. 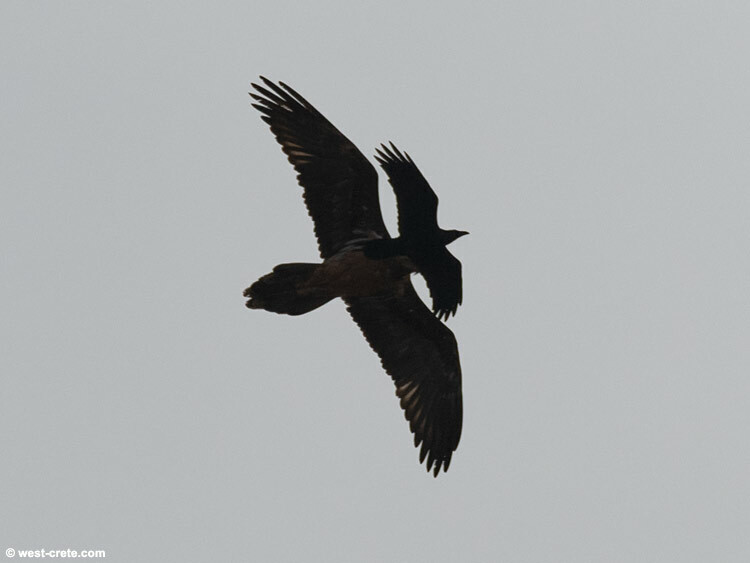 To get an idea of the size of a bearded vulture, look at the 10th and 11th images from the top: the wingspan of a raven is between 1 and 1.5m and it looks really small next to the vulture.